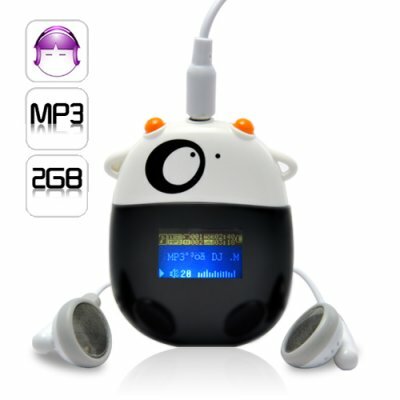 Successfully Added Cow MP3 Player with OLED Screen - Big Moo to your Shopping Cart. Cow MP3 Player with OLED Screen. Big Moo does more than just look good, inside of his unique outer design is a 2GB storage and powerful external speaker that makes for an unbullievable audio experience. This Cow MP3 Player includes FM radio, so you can take a break from your own music and listen to what's going on at the local station. Radio frequency and channel can be selected through the buttons and 1 inch OLED screen. In case you're on the hunt for a totally unique MP3 player, then his Cow MP3 Player has hit the bull's eye. The amazingly low price makes it a cash cow that simply can't be missed. Available in our warehouse now, order today and we'll ship it out tomorrow. Brought to you by the leader in China Electronics - Chinavasion. Bullieve it. easy to use and great deal..